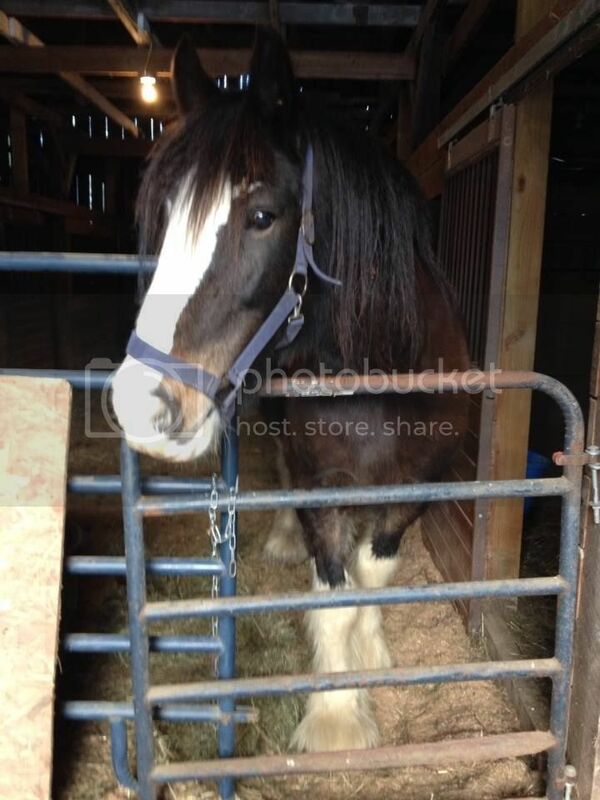 Home » Equine » Equine Color Genetics » "Black bay"... What are the genetics? Offspring possibility? "Black bay"... What are the genetics? Offspring possibility? 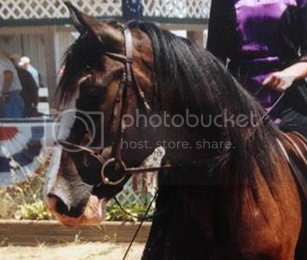 I have a "black bay" Clydesdale mare who I am breeding to a flaxened chestnut stallion. I am a bit frustrated that I can't find a breakdown of genotype for different types of color categories. There is a wide range of 'bay' color... from gorgeous blood red bay to a practically black bay (like my mare). For chestnuts, how does the 'flaxen' effect change things? I'd like to daydream about foal possibilities, but I don't know how to factor in my mares specific dark coloring and the stallions flaxen. Can anyone give me insights or send me to an easy-to-understand website? Bay and black bay (aka brown) are thought to be seperate alleles of the Agouti Locus. If your Clydesdale mare is black bay then she is probably ata This means that depending on the chestnut stallion she could produce Bay, Black bay, or black. If she is one of those rare Clydesdales that carry chestnut then that could be a possibility as well. Flaxen is thought to only affect chestnut base coats so again unless your mare carries a chestnut allele is unlikely it will figure into the equation. The inheritance of flaxen is not well understood but is thought to be polygenic with perhaps several genes contributing degrees of lightness. Hope that helps. If not feel free to ask more questions. Thanks for your reply! I'm really hoping for a bay baby and was hoping that my mare's dark coloring would get me there despite the use of a chestnut stallion... there just doesn't appear to be much red in her coat. I also wanted to thank you for that article. That is exactly the sort of thing I was looking for! The fact that I wasn't searching for articles on 'brown' probably contributed to my lack of success. From the pics above, I assume my mare is 'seal brown'? Yes, I believe that she is brown. You may be able to "guesstimate" what the stallion carries by looking at his pedigree. For example, if he has a black parent he would carry "a". Of course if he is from a long line of chestnuts you won't get many clues. The dam lines on both sides of the stallion's pedigree are all bay or black. Registered offspring of stallion are all chestnut out of chestnut mares. The ONE bay mare I can see he was bred to had a bay foal. Soooo fingers crossed? Yep! Best of luck. I hope you get what you want.